Becoming a Wellness Coach and Counselor will allow you to work one-on-one with clients on issues related to their health, nutrition and lifestyle. Ultimately, you will provide the guidance and support that they need to make sustainable changes in their diet, exercise routine, relationships, daily practice and career. You will be able to see the results of your health coaching as your clients become happier and healthier. Are you ready for the journey? Andrew Weil, MD: Director of Integrative Medicine, University of rizona. A best-selling author whose books include: Spontaneous Healing and Eight Weeks to Optimal Health. Dr. Weil is a Harvard Medical School graduate and world-renowned expert on medicinal herbs, mind-body interactions and healing systems. He also started the Integrative Medicine program at the University of Arizona. A gut feeling, an inner voice, a need to do something new. If you’ve ever wanted to make the switch and work in the wellness industry, becoming a Board Certified Holistic Health Counselor is the first step to developing a thriving business and the lifestyle you’ve been waiting for. Check out my 10 Reasons Why I Became a Health Coach here! 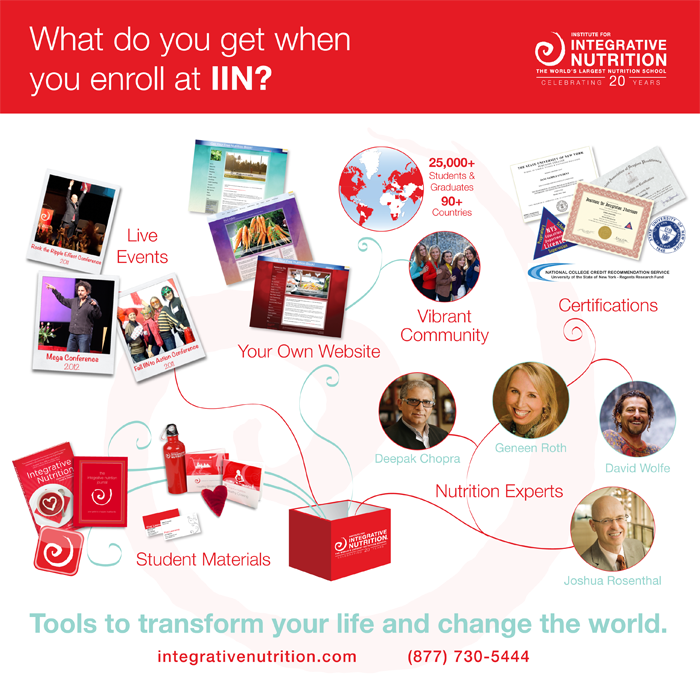 Watch my famous video for a sneak peek on how IIN changed my life.